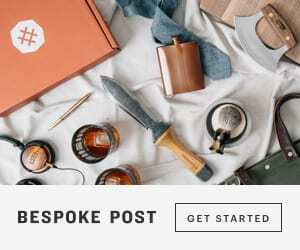 Box of Style is at the top of my list when it comes to luxury subscription boxes. It has great value, great brands and exclusive goodies. I love that each box is season appropriate, and that we receive a lovely mixture of fashionable finds. Here’s a closer look at the items we received in the Spring Box of Style…. This simple-yet-stunning lariat was designed exclusively for members as the ideal finishing touch—it complements everyone’s unique style. Choice of gold or silver. Subscribers could choose to receive either gold or silver in this necklace which I think is a really great feature that sets this box apart from others. Each box has customizable options each season, and when it comes to jewelry being able to choose either gold or silver is a must. Some people would much rather wear one over the other. Next up we have this super fun duster. I found it a little too “loud” at first but once I saw all the different ways you can style it, I fell in love. Wear it with shorts, over your bathing suit, with jeans a white tank and wedge sandals, belted over a fitted black dress…..so many possibilities. These are definitely Audrey meets Twiggy….and I love it! Or should I say I love them? Normally I’m not drawn to this particular style or color, but it’s always nice to receive something that’s a little out of your comfort zone. You never know when your will discover a new favourite. This gorgeous little toner has no nasty ingredients and it receives great reviews on Sephora. It is good for all skin types and it smells amazing. You can use it as part of your daily skincare routine or you can use it throughout the day to freshen your face. Even though I receive a ton of lip balm in my subscription boxes I am always happy to receive more. I am currently looking for a new favourite. I don’t have one that I am loving as of right now. Maybe this one will take over as my go-to lippie. Designed by Rachel’s friend and hair genius Jen Atkin, this works perfectly styled in your tresses, around your neck, or on your wrist. How gorgeous is the piece? I’m obsessed with the mixture of color and textures. It’s elegant and boho at the same time. Now this is what I like to see from Box of Style. I didn’t receive the Winter box but I saw a few different reviews and I wasn’t too crazy about it. But this……this box is beautiful! 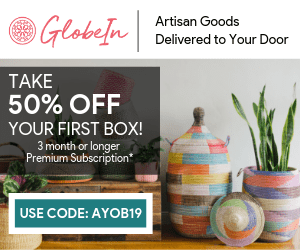 I like it when subscription boxes get you ready for the upcoming season and that’s exactly what the Spring Box of Style has done. Not only are these items great for Spring but they also have me dreaming of Summer and tropical vacays. A couple of the items are a little out of my comfort zone but I’ve come to expect that with Box of Style and I am completely ok with it. I might be a creature of habit but I also like to try new things from time to time. I’m looking forward to styling the duster and rocking the shades. I am already curious to see what they have in store for the Summer box…..is it bad that I’m already thinking about the next box?